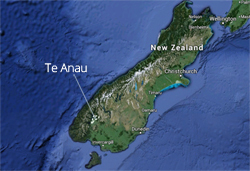 Te Anau and Manapouri are perfect holiday destinations and great places to live! If you plan to visit or live in Fiordland, this is where you need to be. We are the only towns built right on the edge of the national park. Wander down to our towns' lake fronts and dip your toe in the water and you are in the national park. We also have all the shops and services that anyone needs; we might be in paradise, but we cater to your needs!